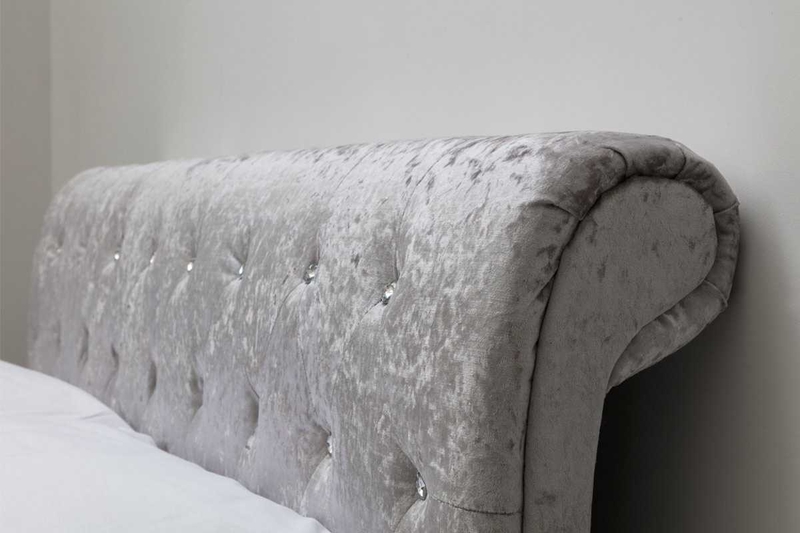 For a true statement piece, choose the St. James. 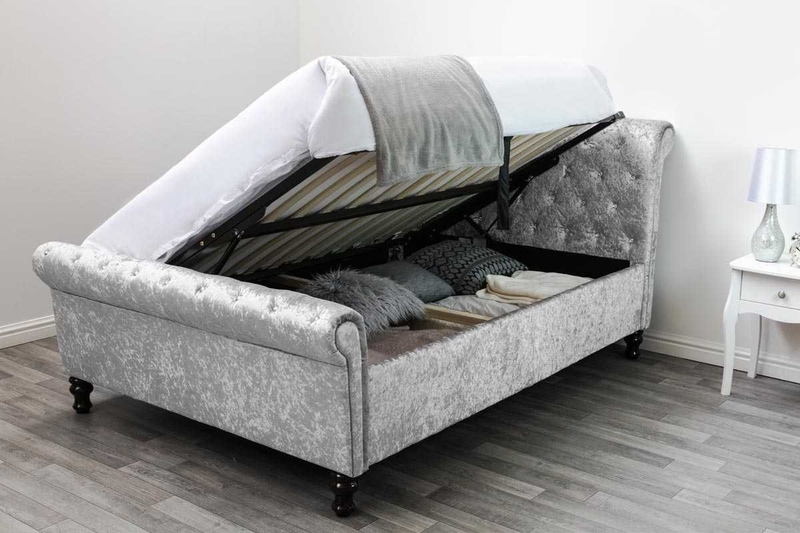 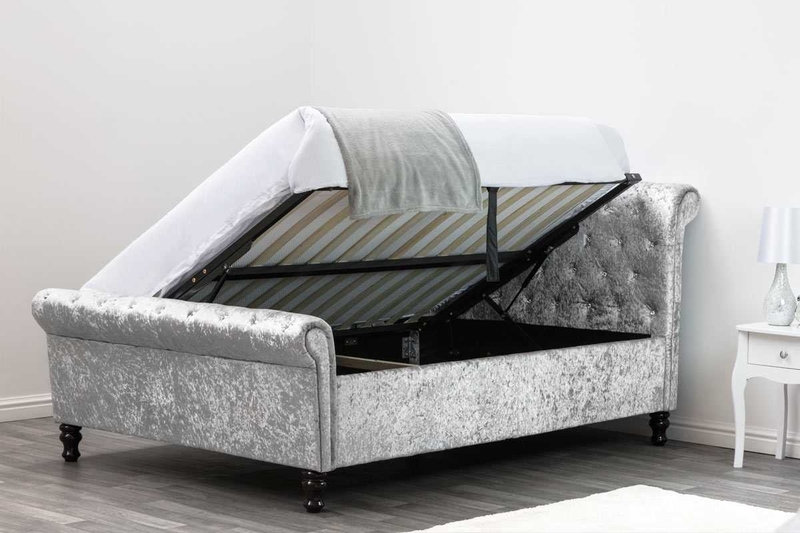 A beautifully opulent bed, the St James has the features of a traditional chesterfield design with its deep buttoned scroll head and foot boards, gas lift ottoman storage with a modern update of stylish diamante studding. 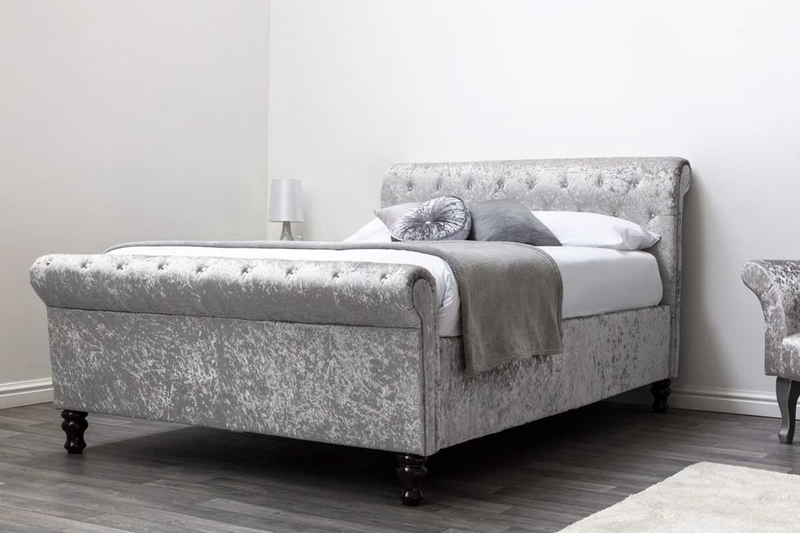 The bed frame is upholstered in sumptuous silver crushed velvet. 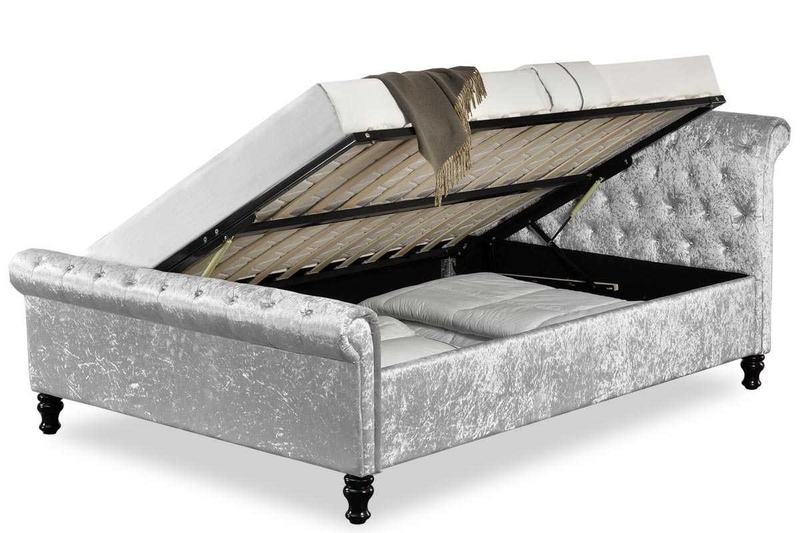 The St. James is available in double and king size. 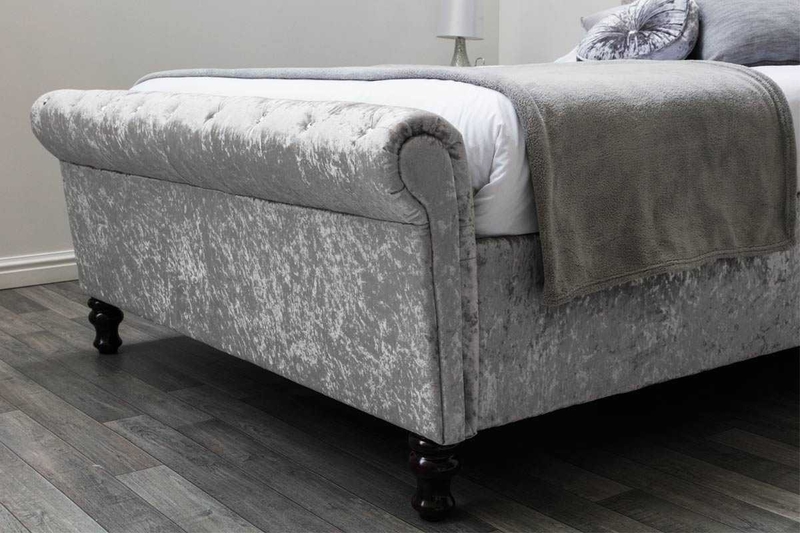 This regal bed fame will look perfect in both contemporary and traditional style bedrooms. 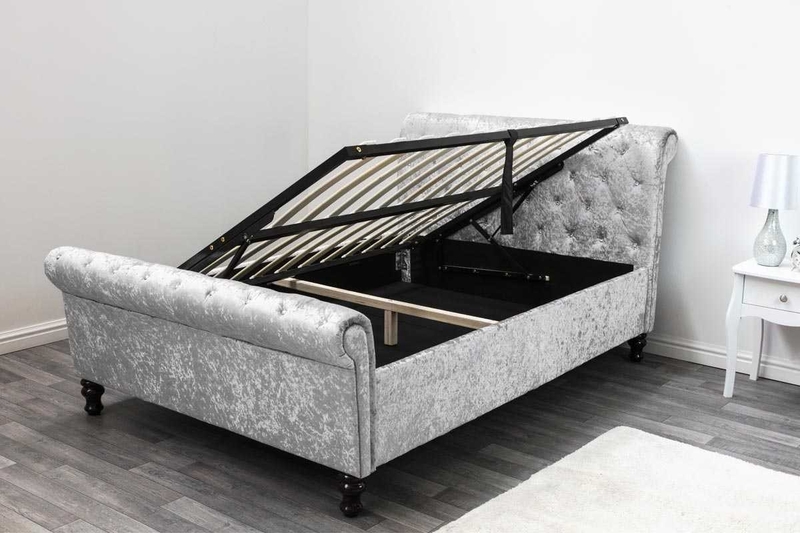 The easy to use side loading gas lift mechanism is reversable left or right.